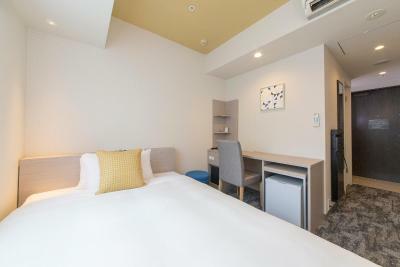 Lock in a great price for Tokyu Stay Suidobashi – rated 8.5 by recent guests! Location in the center of the city, few minutes from the station. Helpful staff that assisted us with all our request. Great breakfast, free take-out coffee! Huge and spacious rooms, that have washing machines - very useful when you travel for a long time. Delicious breakfast (best apple pies are here!) and service. Staff helped us with all our requests - weigh the luggage, lend us scissors, send and store our luggage, call a taxi etc. My 2nd time staying here. 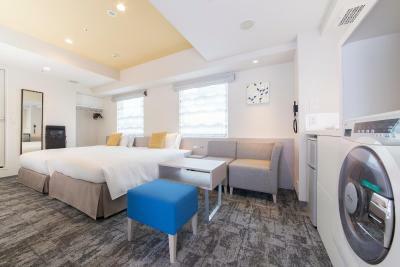 Very good location, near Suidobashi station, and Tokyo Dome. The heated toilet seat,the heated mirror,the all-in-one washer/dryer, the convenient proximity to the subway, restaurants, shops, etc and the overall cleanliness. Breakfast was good too. I like the most is it has microwave, a mini fridge and washer/dryer. This is very good for travelers who stay long. Plus easy access to Toe and JR. It sits in a nice quiet residential neighborhood. The property was clean, attractive and very stylish. The rooms were quite 'compact' but this modern hotel managed to pack just about everything one might hope for and then some into the limited space! The excellent location was in a 'college' town within central Tokyo...so a vast array of affordable restaurant choices close-by and a convenience store on virtually every corner. 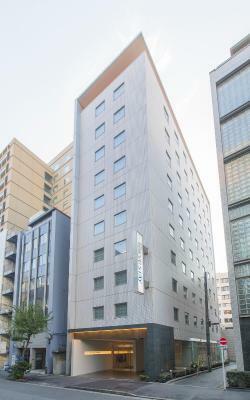 The hotel is less than a 5 minute walk to both Tokyo Metro and JR rail stations. Quiet, fairly residential neigbourhood despite being a short walk to the Tokyo Dome stadium. The hotel was clean, the staff was amazing, the breakfast was delicious and the location very convenient. This hotel is great! 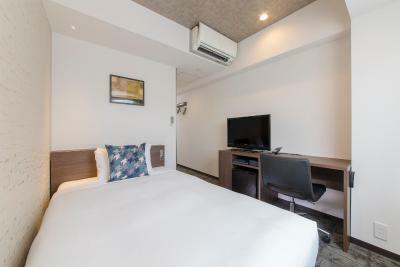 Tokyu Stay Suidobashi This rating is a reflection of how the property compares to the industry standard when it comes to price, facilities and services available. It's based on a self-evaluation by the property. Use this rating to help choose your stay! 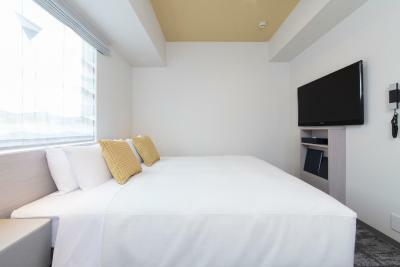 One of our top picks in Tokyo.Only a 4-minute walk from JR Suidobashi Station, Tokyu Stay offers free Wi-Fi at the entire property. 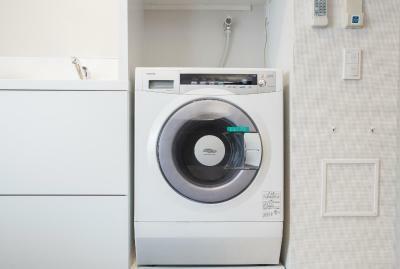 Some rooms are equipped for a long-term stay, featuring a kitchenette and a washing machine. The lobby has free-use internet PCs. 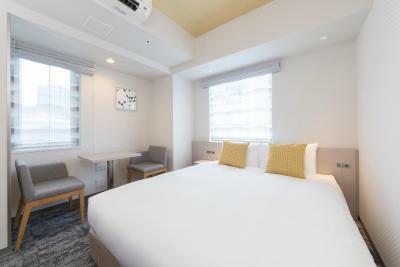 The Suidobashi Tokyu Stay is a 10-minute walk from Tokyo Dome. JR Suidobashi Station connects to Akihabara in 5 minutes and to Shinjuku in 15 minutes. Tokyo Station is a 10-minute train ride. 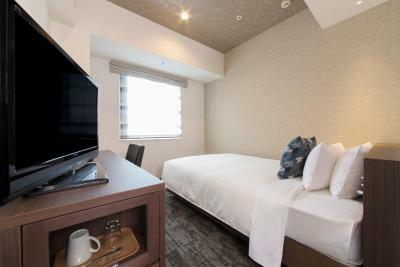 All air-conditioned rooms at Tokyu Stay Suidobashi are fitted with a an LCD TV with satellite channels, a safety deposit box and a small fridge. 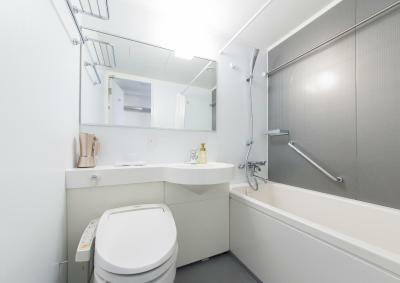 A hairdryer and toiletries are provided in the private bathroom. 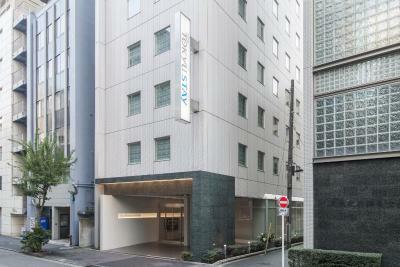 Tokyu Stay offers a 24-hour reception that provides free luggage storage. Charged services include dry cleaning and arrangement of courier deliveries. A breakfast buffet with a spread of Japanese and Western dishes is served at the dining room, from 07:00 until 09:30. 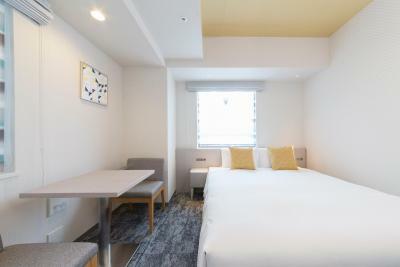 When would you like to stay at Tokyu Stay Suidobashi? This single room features a washing machine, air conditioning and electric kettle. 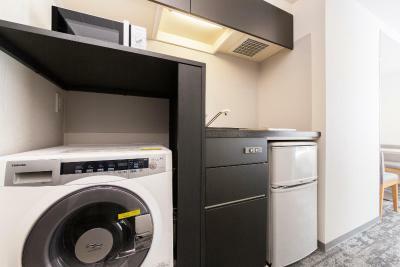 This double room features a washing machine, air conditioning and satellite TV. 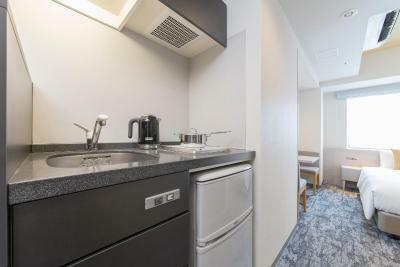 This double room features a washing machine, electric kettle and microwave. This triple room features air conditioning, electric kettle and kitchenette. An extra bed will be prepared for the 3rd guest. 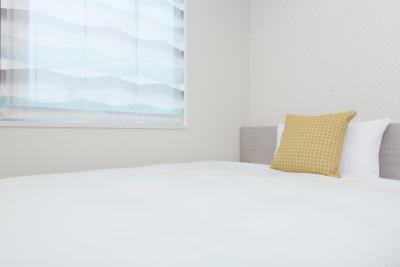 House Rules Tokyu Stay Suidobashi takes special requests – add in the next step! Tokyu Stay Suidobashi accepts these cards and reserves the right to temporarily hold an amount prior to arrival. Early check in before 15:00 and late check out after 11:00 is available at a surcharge. Please contact the property for more details. 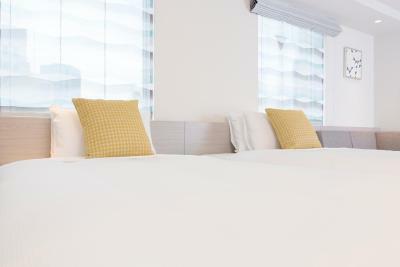 - For stays of up to 6 nights, nightwear and towels will be replaced daily. Bedding will not be replaced, and room cleaning is not provided. - For guests staying 7 nights or more, please note that rooms are cleaned once every 7 nights. Good location, nice breakfast, lovely staff. Decent sided room and comfortable bed with 2 pillows per person!! There is a closet to hang up clothes, but no drawers, which means one has to leave out of a suitcase. For a long-term stay hotel, this seems like an oversight. The location was close to two train stations and provided great access to areas with blossoming cherry trees. The breakfast had both traditional Japanese and Western food. The staff was always friendly and helpful and knew enough English to make up for our lack of Japanese skills. Nice Location (near subway station, JR Railway and Tokyo Dome), only 2 stops to Tokyo Palace Hotel ! 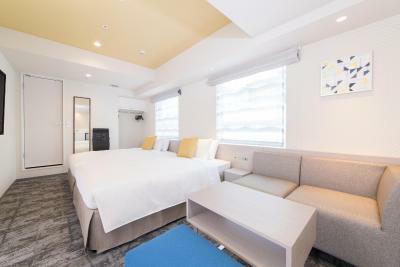 Washer/dryer in the room, excellent location - short walk to JR and metro stations, clean, very good Japanese breakfast, good shower - excellent water pressure. The bathroom wasn’t cleaned properly before our stay. There was hair everywhere on the shower wall. The room was also dusty. Great room. The location is awesome. A few metro stops to almost everywhere. Next to Tokyo dome which has a lot of restaurants open later than the usual times (including a couple of US restaurants). Very quiet hotel. Very convenient. Minor: would have liked a shelf or drawer for clothes. I has access to a hanging rack and luggage stand, but would have liked a dedicated drawer or bigger shelf. Convenient, very clean, close to train, restaurants, convenience stores. Loved the access to the washing machine, mini kitchen (fridge, kettle, microwave), toiletries, full size bathroom and option for breakfast. I used this as a homebase so that I only had to unpack once; I was not going to use hotel amenities of a spa, gym or restaurant so I liked not having to spend money for features I wasn't going to use. I would stay here again. 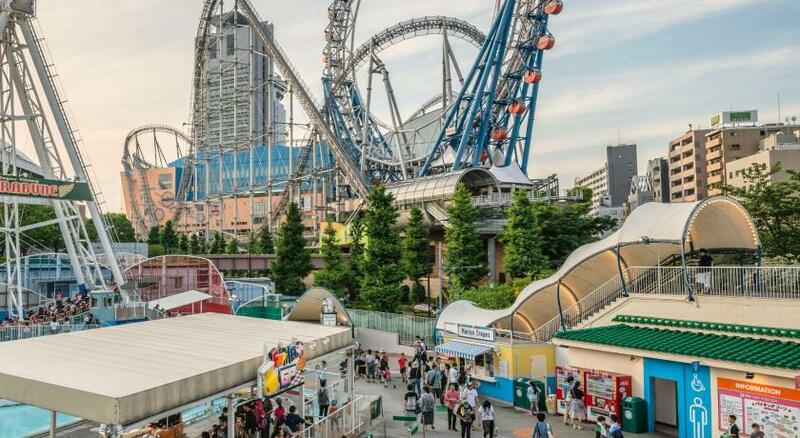 Just a 5 minute walk from korukan hall and the tokyo dome. On check in day I came earlier than expected, but the staff were kind enough to take my bag AND also took it up to the room so when i checked in later on in the day, my bag was already there. Staff were nice and spoke english (which is always a great help for a lone foreign traveller) Its also beside suidobashi station (chuo line) No issues of any kind during my stay. Would stay again. This is my second stay here and I remain bewildered by the continued discrimination against long stay guests whose bins are only emptied weekly. If you stay for up to 6 nights the bin is emptied daily! Go figure. A very nice hotel in a great location. 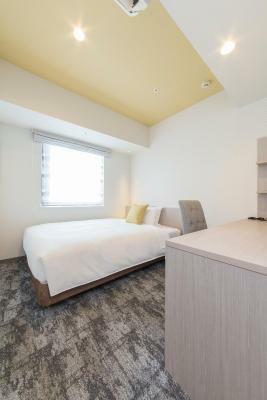 Rooms are not to big, but comfortable (as for Japanese standards). Comfortable bed and fresh dressing gown provided daily! ;) Clean bathroom, good Wi-Fi, free tea available. Close to many restaurants, shops and metro stations. Room is clean, bed is comfortable, great to have washing machine in room but room space abit too narrow for 3 people as there's no space to put 3 luggages. Breadfast included in stay simple. Staff is friendly & quick to respond to our queries. Location is about 5 mins walk to train station. pillows were a bit weird.... mixture of hard and soft stuffings at the same time! the size of bed, bathroom, the breakfast spread!